AC Academy believes that every child in this country should be entitled to a first-class music education. 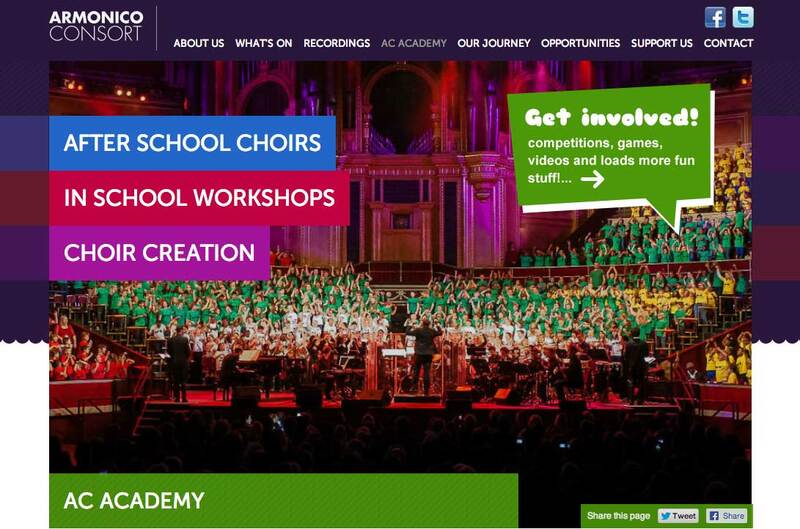 AC Academy runs a diverse range of music and arts education projects across the UK, working both inside and out of schools to reach 15,000 children per year. AC Academy believes that through the work AC Academy do we offer children HOPE, HAPPINESS and EXCELLENCE, developing excellent singing and musical skills. Through our charitable status we appeal for funding to allow as much of what we do for children across the UK as free or as heavily subsidised as possible. The AC Academy choirs that we run, create and continually develop are not auditioned. Music not only develops confidence and builds self-esteem; it has also been proven to aid concentration and behaviour. Arminico Consort approached me a few weeks ago to see if I would consider doing this logo and brand identity redesign Pro bono with a super kind offer of partial payment. To be perfectly honest, if you’re going to do Pro bono, then you might as well do it properly, and completely for free. Doesn’t feel at all right taking money from a Charity, even if offered. The upside was that when I mentioned I’d not be happy taking any money, they countered with an offer of a half page advert for their next major concert with Russell Watson at the Symphony Hall, Birmingham: AC Academy Sing Symphony Hall So that was a great outcome for both of us! 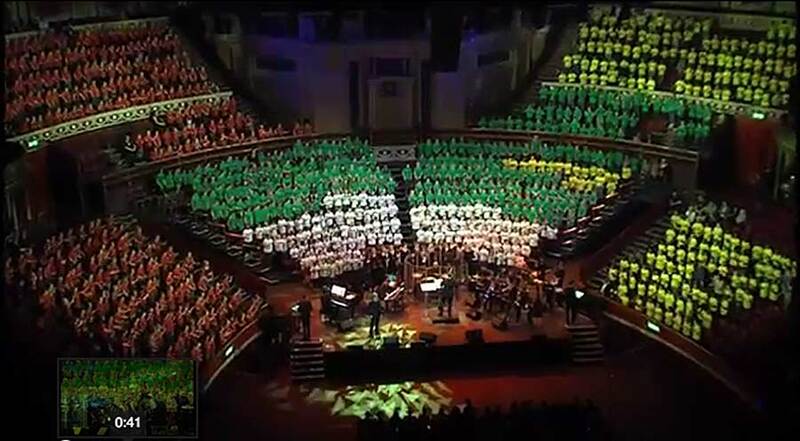 So here I am, frantically working on some logo designs ready to be screen-printed on 1000’s of children’s t-shirts for the AC Academy Sing Symphony Hall (which you can see how it looks from last years Royal Albert Hall performance, also with Russell Watson). 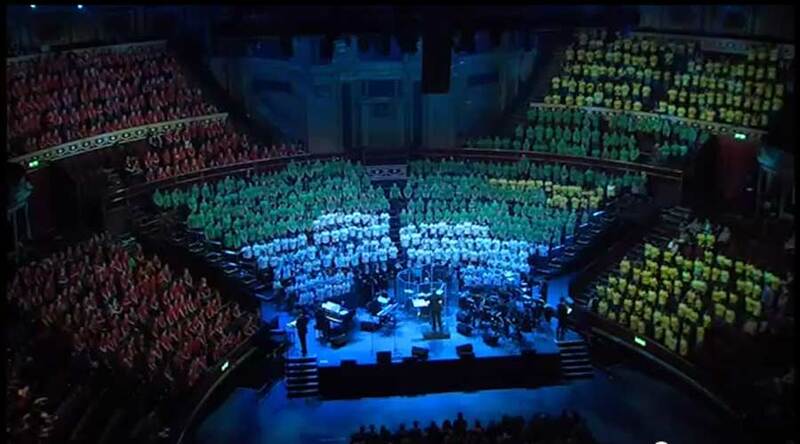 This relationship [with the Royal Albert Hall] culminated in a gala concert featuring 1300 children at the venue on 10 March, 2013. 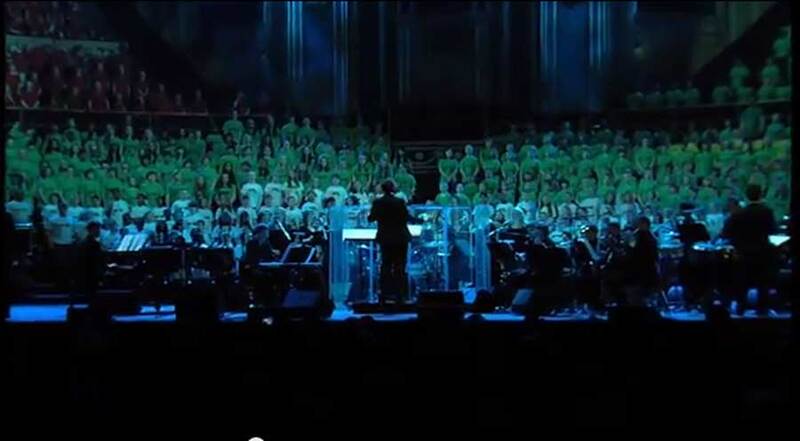 Russell Watson appeared alongside AC Academy singers from across the UK in the spectacular ‘Around the World in 18 Tunes’. Watch highlights of this epic venture above, or on Youtube. Here’s a little early taster of one of the very early logo design concepts for AC Academy. Due to cost, the white t-shirts are printed in greyscale, so the logo has to work well in full-colour, black/white, and greyscale, and be suitably bold and clean enough to be seen, and recognised, at some distance (as you can see from the photographs above). The major challenge is attempting to visualise the idea of children and young adults singing as a group, whilst conveying the high quality and prestigious nature of the teaching and experience that the AC Academy provides children all over England. To make things a little harder, there is no mention of what AC Academy is/does in the brand name, and tag-line, so in this case, the visual HAD to convey some connection to groups of children singing, whilst trying to avoid the usual cliches, stereotypes, and clip-art style illustration. Oh, and to also try and connect with the three word tag-line: hope, happiness, and excellence. I think I have touched on hope and happiness through the colours, the jaunty angle of the heads, the open singing mouth, as well as each head being slightly bigger, smaller and different. The relatively clean and smart font choice helps to add the excellence aspect. Abstract meets stylish. For the Font Watchers, I used Zona Pro ExtraBold for ac academy and Serifa Roman for the tag-line: hope, happiness and excellence.